When the clock strikes 6 a.m. on Gasparilla morning, your eyes will open and your mind will be on one thing and one thing only: your first shot of rum (and we hope it’s a local rum like Gaspar's!). While you’re sipping your spiked coffee and putting on your most authentic pirate gear, it’s time to plan your day ahead! 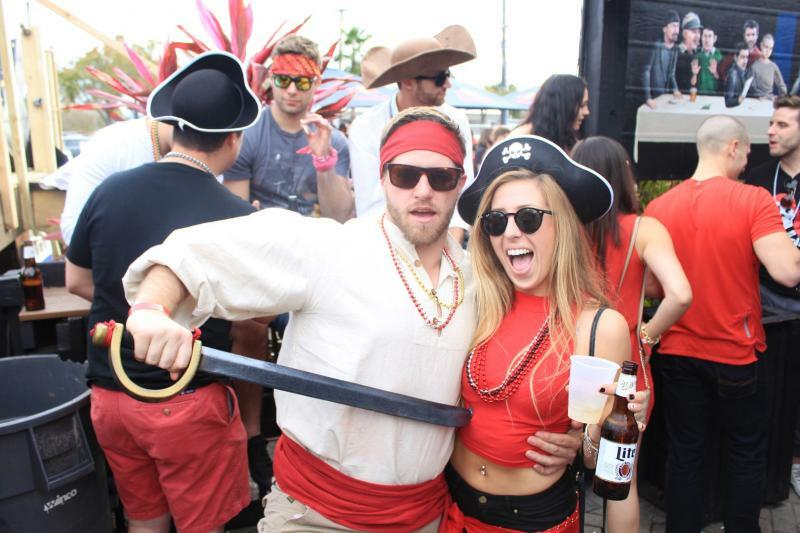 What iconic Gasparilla parties in Tampa will you attend this year? Well, that probably depends on your age and the kind of turn up you’re looking for! The ever-iconic MacDinton's is always a good place to start for those of us who haven’t hit 30 yet. If you’re looking for a more mature crowd that understand the pacing of Gasparilla, (remember: it’s a marathon, not a sprint!) head to Harbor Island for a good time all day long at either Jackson’s Bistro or American Social! First things first, if you’ve never been to MacDinton's on Gasparilla, you’ve been missing out! 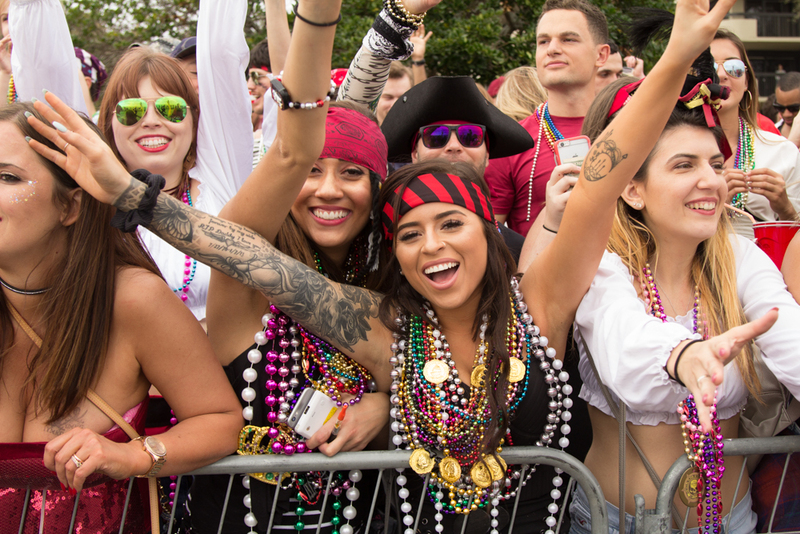 For young professionals and students alike, this is the place to be seen any weekend of the year, but for Gasparilla, it’s iconic. MacDinton’s has set up a stage for live music and new barriers to the outside parking lot and bar for this special day for over 15 years. This year, they're starting the celebrations early at 3 p.m. on Friday, kicking off the shenanigans off with happy hour! 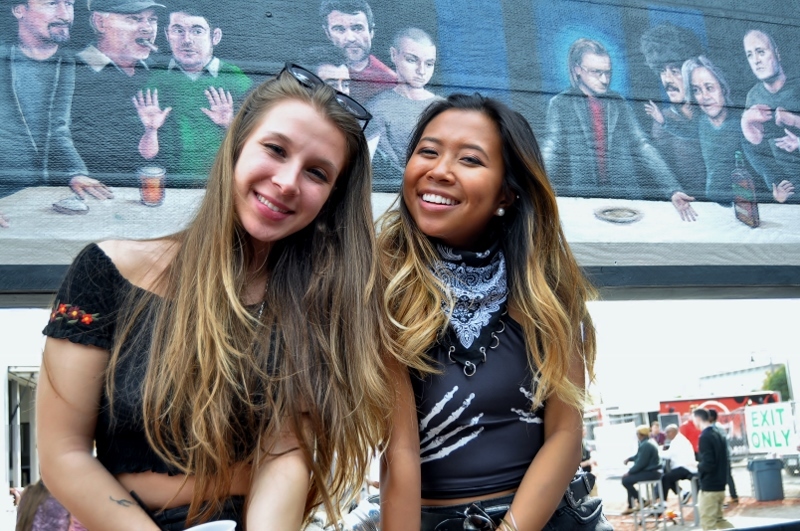 On Saturday morning at 10 a.m., they open back up for kegs and eggs, a University of Tampa student tradition where pirates flock from all over Tampa and join forces to prepare for the craziness of the day ahead. But the celebrations don’t stop there! The party continues on Saturday night and until the early hours of Sunday morning. For an iconic Gasparilla experience, MacDinton’s has to be on your list! Watch the invasion with a view! Stop by Jackson's Bistro at 10 a.m. as they begin their celebrations just in time for the pirate invasion! As the ships, boats, and yachts take over the bay, you’ll have the best view in town from Jackson’s Bistro. The grill will be hot, and the DJ’s will be spinning from 10 a.m. to 4 p.m. on their back patio. In their House/Techno Room, DJs Brian Busto, Diego, Sheriff, and Brian Jackson will be bringing the high-energy vibes! In Jackson’s International Latin Room, DJ’s DJ Madrid and JuanFe Munoz are making an appearance, and the Top 40 Room will have Knex and Big Willie spinning the deck! The party will continue after the parade from 5 p.m., so if you’re energy is still high after the parade and you want to keep the party going, head to Jackson’s! American Social is one of Tampa’s coolest hot spots right now! 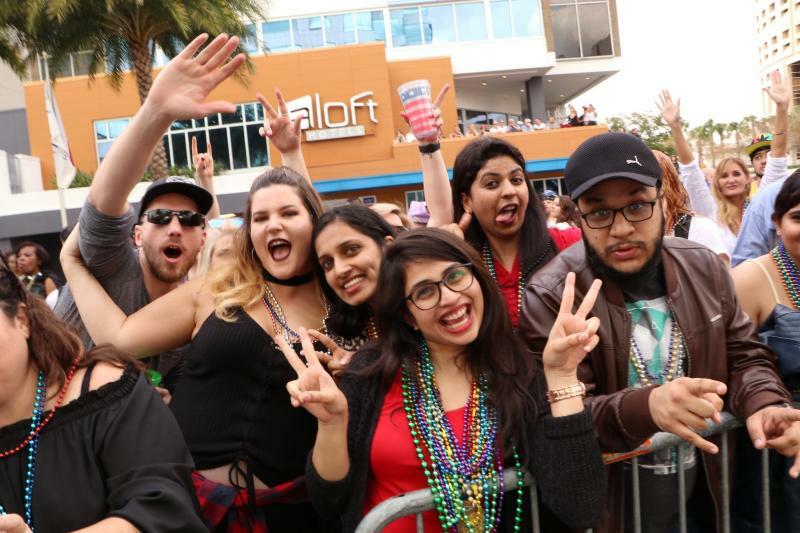 Since their opening in summer 2017, they've become a destination nightlife spot but on Gasparilla, they’re going to be bumpin’ all day and night. Living by SoHo and want to walk to the parade after partying all morning? I feel you! 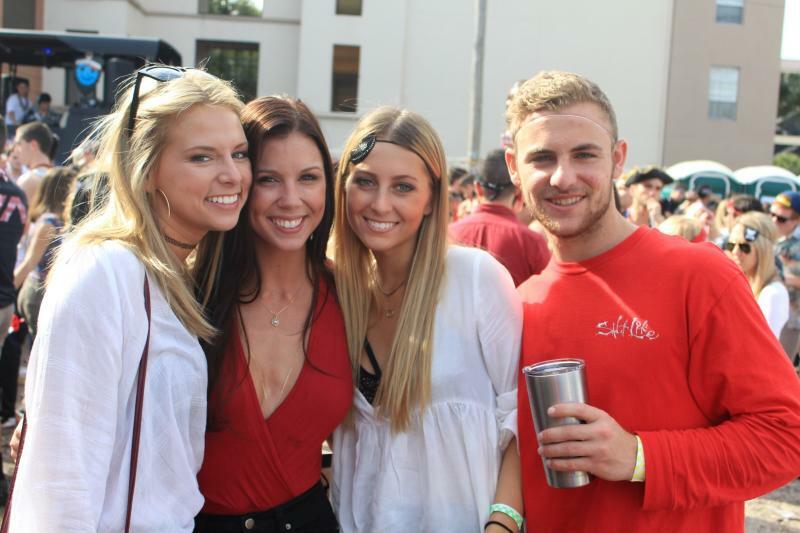 As a SoHo girl, I know that once you move into that neighborhood, it’s hard to convince yourself to Uber anywhere, especially on Gasparilla! So head to Cask Social Kitchen to get Wreck’d this Gasparilla! Starting at 10 a.m. (perfect time to leave your place after the pregame), Cask has invited over ten DJs to get their guests lit and fill them with that good Gasparilla energy to carry out the remainder of their day at the parade! With music bumpin’ and good vibes flowing through the party, there’s no reason not to at least stop by before the parade! Four Green Fields is the closest bar on this list to the parade route and, therefore, it’s a Gasparilla staple for many of the krewe members and Gasparilla devotees. This Gasparilla, they’re opening their doors at 9 a.m. and have invited live musicians to start playing at 2 p.m. from their front porch! Four Green Fields' headlining act of the day is the world famous Black Donnely’s Dublin who will be playing the latter end of the evening! Stop by to collect prizes and giveaways all day long. If you’re looking to party with the krewe, this is the place to be! Ahoy, mateys! Fuel up for the Gasparilla parade at World of Beer on Soho starting at 9 a.m. on the 26. They will have a full mimosa bar during their champagne brunch where you can buy bottles of champagne for only $17! Bottle service for $17? Sounds like a party I can’t miss! Alongside the mimosa bar, they will be offering $2 pirates blood shots and $6 Bloody Marys. With a DJ located on their porch, a select brunch menu, and no cover, World of Beer is going to help you start your day off right! A party that starts at 8 a.m.? Sounds like Gasparilla to me! If you’re looking to start early, then Aloft is your ideal spot on this fine Tampa day! They’re inviting guests to enjoy bottomless mimosas from 8 a.m. to 11 a.m. but, if you’re looking to stick with hard alcohol, they’ve got you crazy people covered as well! 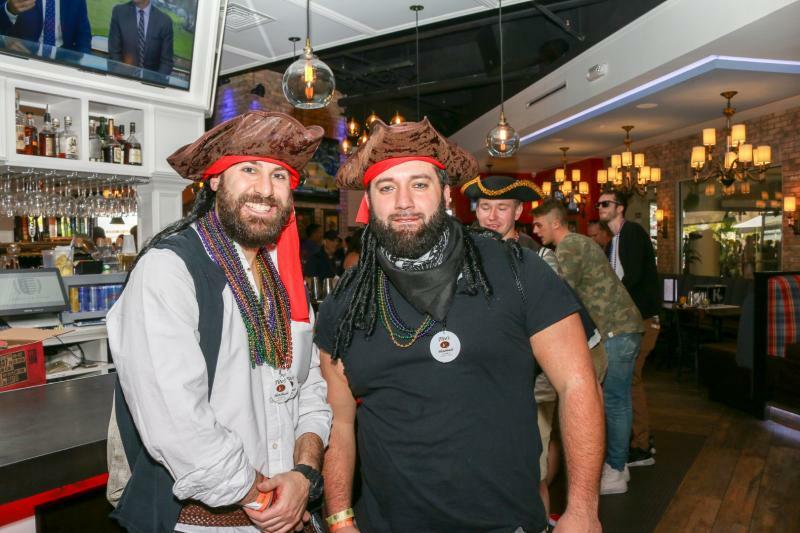 Aloft’s rum bar opens at 8 a.m. and stays open all day long until the last pirate returns home. VIP tables with a view of the parade are being sold and are still available, but pick up your phone and make a reservation today as they're going to sell out in advance! Start your day at Thee Tree House as the Downtown Crawlers are taking their ship of jolly crawlers to Thee Tree House for bottomless mimosas! 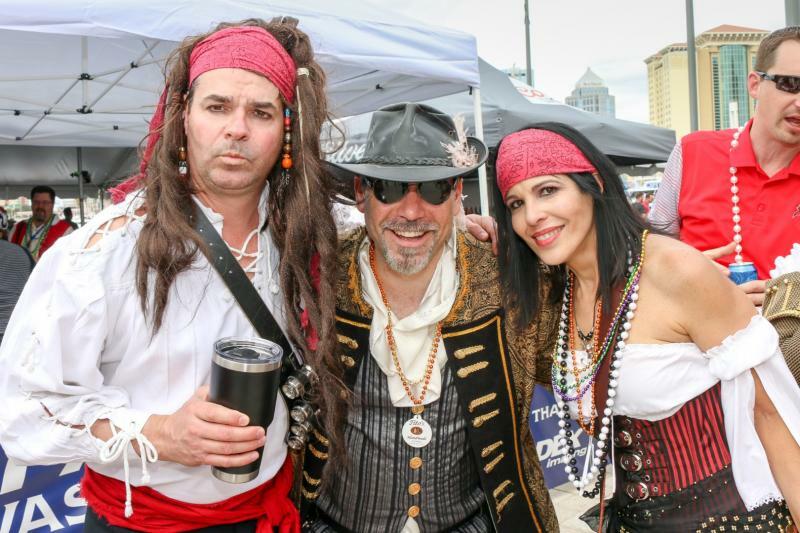 At 10 a.m., the Downtown Crawlers unlimited brunch goes until 3 p.m.
Related content: Get Ready for the Biggest Gasparilla Barrrr Crawl of Them All! After 3 p.m., head to Thee Tree House’s Gasparilla Block Party to dance with your friends and grab a burger off the grill! They'll also have signature cocktails and a beer truck parked in their lot after the barrr crawl brunch ends. Wanting to get out on the water to experience the invasion as a true pirate would? Purchase a ticket to Yacht Starship’s Gasparilla Invasion Cruise! 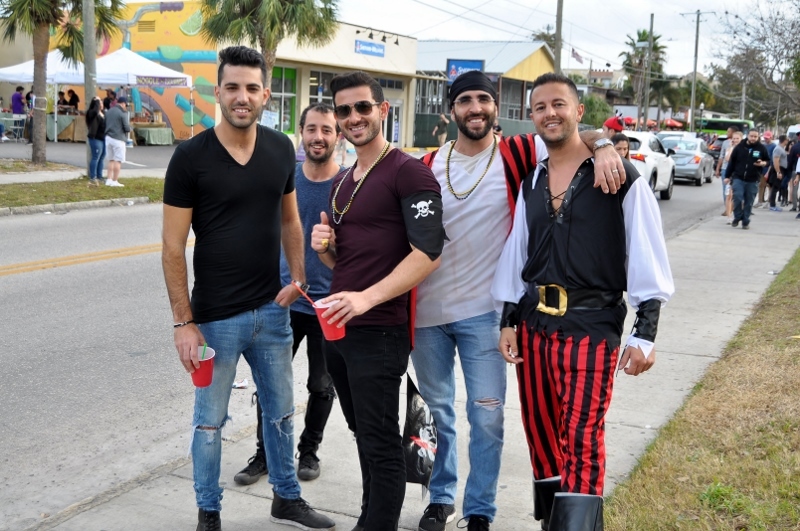 Come casual or in your best pirate garb and take in the close-up views of the Jose Gasparilla Pirate Ship and the entire flotilla as it crosses the bay. Before the flotilla turns into the Downtown channel, Yacht StarShip will exit the flotilla and proceed ahead, providing a great view as hundreds of boats condense into the small channel. You don’t want to miss this unforgettable two-and-a half-hour cruise! Irish 31 Hyde Park will have a live DJ all day as well as a number of drink specials on Gasparilla! It’s only a five-minute walk to the parade, so why not stop by on your walk to the parade for one more drink? Irish 31 Hyde Park will also have a DJ spinning on the patio all day as well as a solo acoustic performer starting at 7 p.m. that night. For more information on where to be for Gasparilla, register on 813area for your free, local guide to Tampa Bay!